I’ve been using Spark Camera for quite a while now on my iPhone . It’s time I shared my honest opinions on it. Right off the bat, I want to make it clear that this is not a sponsored article in any case. I’m not in contact with the developers of Spark Camera, and I bought the app on my own expense. Therefore everything you read here is as honest as it gets. I have been using Instagram for many years now but my urge to create video content on the social network really took off a couple of months back. 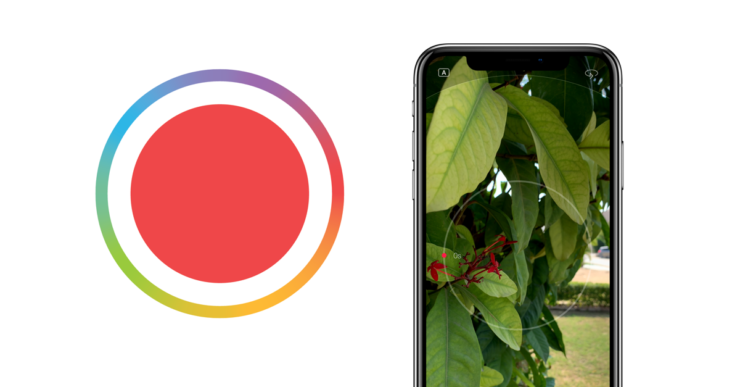 At first, I kicked things off with the built-in Instagram Stories video recorder and my hopes and dreams somewhat died off instantly due to the lack of proper control over what I was recording. I didn’t want that. I wanted something that would let me properly compose video, add narrative, finely trim what I was recording in one clip, and the stock iPhone camera app wasn’t good enough for that either. And I was in no mood of running everything through iMovie in order to stitch clips together before sharing it with the world. That changed suddenly, when I stumbled upon this video from Tyler Stalman on YouTube. This was the point I was introduced to Spark Camera, a video recording app for iPhone that lets you shoot and share quick narrative clips on the fly. You can record videos of up to one minute in length and you can break things down to several different clips. It’s tailor-made for Instagram Stories and IGTV but obviously you can use the recorded clips anywhere you like since they are essentially saved to the Camera Roll. 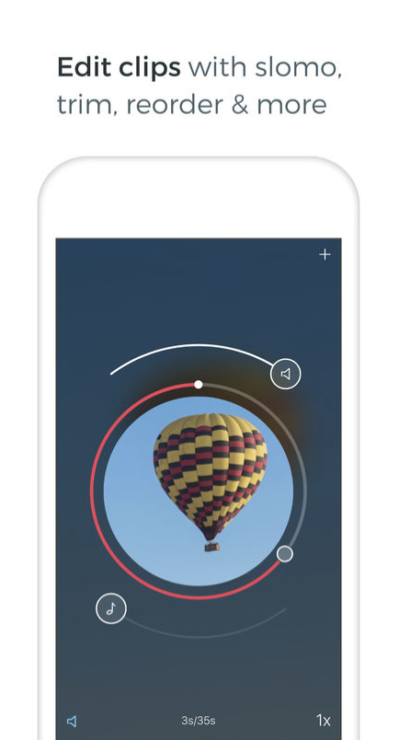 Once downloaded and installed, you’ll dive straight into the camera UI where you simply tap and hold on the viewfinder to start recording a clip. Let go of the display and the clip will stop recording. Tap and hold again and a new clip will start to record. You can keep on doing this until a full minute of video has been recorded. Swiping up or down while recording will let you zoom in or out. The magic of the app comes into play when you start to edit those clips right from the Spark app. Simply tap on the ‘Play’ icon on the bottom right hand corner and you’ll see all your clips at the bottom which you can trim using on-screen sliders or even adjust the volume and add narration to them if you like. You can even adjust the speed of those clips if you recorded something in 60, 120 or 240 frames per second. This sort of control is unprecedented given how simple the app looks the moment you look at it. 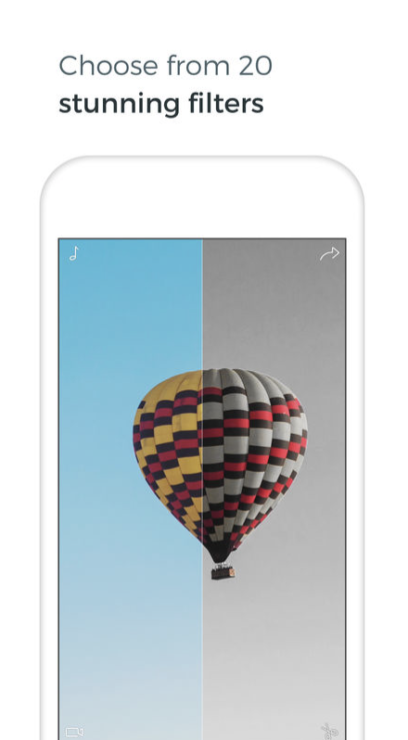 There are built-in effects as well which you can cycle through by swiping left or right in preview mode. But what’s more important is that you can adjust the intensity of those effects by sliding your finger up or down on the display. This is something which is very, very underrated as you can achieve a very cinematic look by playing around with the intensity of the effects. Kinda like how you would adjust the intensity of the LUT in a professional piece of software like Final Cut Pro, Adobe Premiere or even LumaFusion. Last but not the least, you’re not limited to using video clips that were recorded using Spark itself. You can import anything straight from the Camera Roll and make that a part of your final masterpiece too. 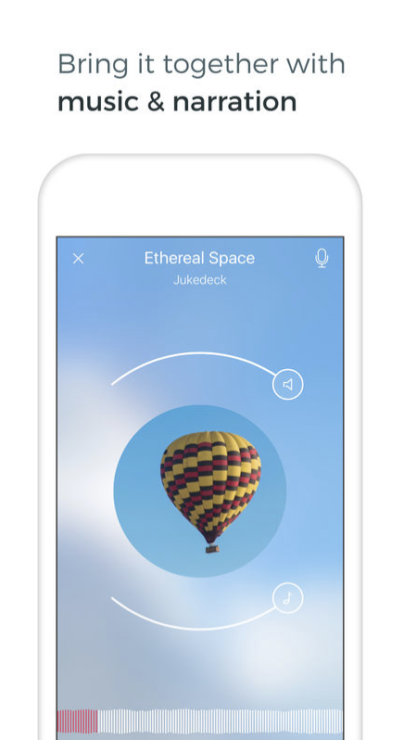 Spark has a UI and on-screen controls that are nothing short of intuitive. It forces you to create content – good content. Even if you make a mistake while recording a video, you can trim it out and make everything presentable in the best possible way. You really don’t have to redo everything as Spark’s built-in controls have you covered in that regard. 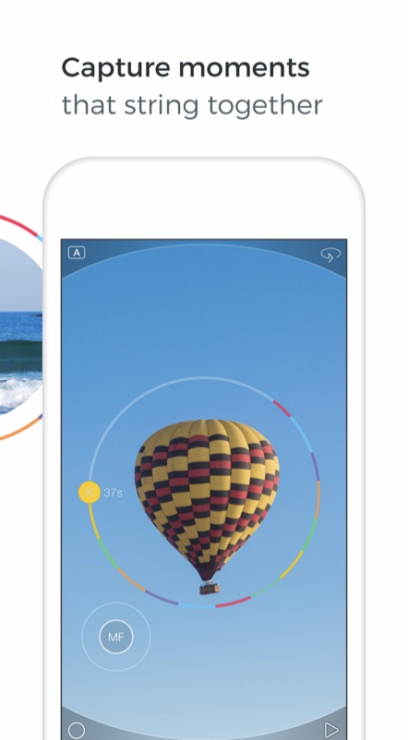 In fact, I’ll go as far as saying that if you’re planning to shoot instant vlogs on your iPhone or want to create stunning stories on Instagram, you just can’t go wrong with this app at all. It just works. It did for me, and it’s the most complete video recording app package I’ve seen in a long time. Since you can work on several video projects at the same time on Spark, you have a neat way of documenting your entire day. It’s entirely up to you how you want to bend the rules of Spark to suit yourself. Every single day I find more uses for this app and the developers update the app regularly to iron out bugs (which I haven’t encountered any, by the way), and there’s no way I’m turning towards anything else to get my video recording fix. Well, this stands true until someone comes up with a better option, which doesn’t exist yet. Of course, with the praises out of the way, there are two things in app I would love to see down the line. First, I want Spark to let me shoot photos, rather than just video. Second, I want the developers to let me add transition effects between clips. If these two things are catered to, I’m going to completely ditch the stock Camera app on the iPhone, and I mean it. Spark Camera is a $2.99 app and is worth a shot. Take it for a spin and up your Instagram Stories game in a jiffy. Who knows it might actually change your video game on the iPhone once and for all! Fortnite 7.30 Released for iPhone and iPad with Bluetooth Game Controller Support – Download Now!